Chevrolet Beat EV spotted testing! Chevrolet Beat Electric Vehicle (EV), an electric version of this popular compact hatchback that was unveiled at in the National Capital in June last year, was recently spotted testing in the global market for the first time. Both front and the rear end of the new Chevrolet Beat EV will be carrying a slight modification as compared to the existing petrol / diesel run variant of the car. The major upgrades at the exterior include a newly styled grille in combination with new design fog lamps and a new rear bumper. Moreover, a few upgrades are expected to be made inside the car also with a slightly modified dashboard and features. As far as power is concerned, the engine of Chevrolet Beat EV in combination with an electric motor will be delivering a peak power of 115bhp. More specification details of the car are yet to be revealed by the company. However, the lack of infrastructure for the electric vehicles in the Indian market, and lack of acceptability of such cars among the Indian buyers can prove two major road blocks for the launch of Chevrolet Beat EV in India. Earlier, GM India had planned-up spark electric model (showcased at the Delhi Auto Expo 2010) in partnership with electric car maker Reva. However, the plan went in vain after Reva Electric was acquired by Mahindra & Mahindra last year. 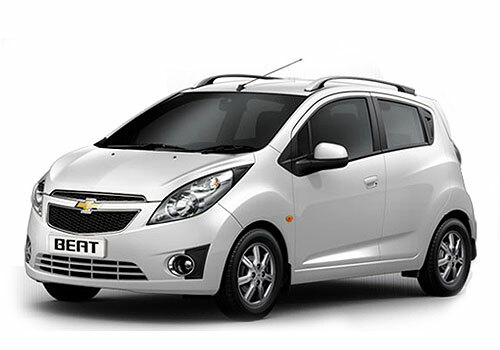 Globally, the Chevrolet Beat EV is known as Chevrolet Spark EV, as the Beat model in a number of International markets like US and Europe.